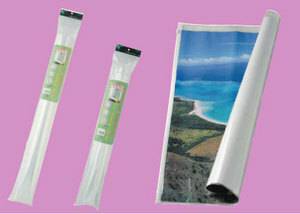 It is a slide case convenient for storage, protection, and carrying of a large-sized drawing, a poster, etc.! It guards from water or mud with a double-sided fastener. It rounds and carrying is possible.